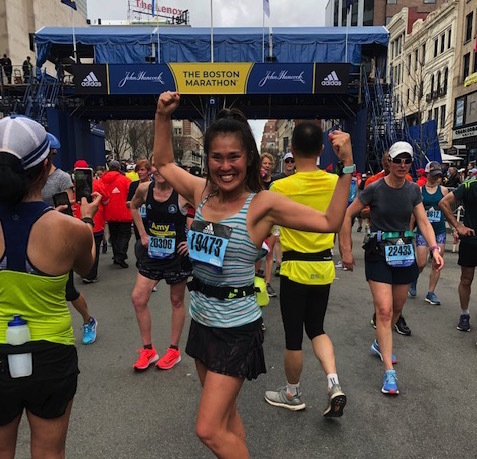 Chicago Athlete ambassador Mandi Florip heads to the finish line of the 2019 Boston Marathon. Monday marked the 123rd Boston Marathon, and of the 26,632 total finishers, 653 travelled from Illinois. One of the day’s biggest highlights was University of Illinois athlete Daniel Romanchuk winning the wheelchair division as the first American to win since 1993, with a time of 1:21:36. Coming off of back-to-back wins at the Bank of America Chicago Marathon and TCS New York Marathon, and being the youngest winner, Romanchuk feels thankful. 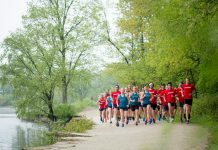 Watch Romanchuk tackle the London Marathon on April 28. Kent Smith was the first male finisher from Illinois, coming in 38th overall with a time of 2:24:32. Closely behind him was Lindsay Flanagan at 2:30:07, placing ninth in the women’s division. “Heard I was 11th with a mile to go, and knew I had to dig [email protected] screaming in the stands did the trick,” Flanagan tweeted Monday afternoon, attributing that final push to her sister Kaylee Flanagan. Many runners traveled with a club to toe the line in Hopkinton together. The Chicago Area Runners Association sent over 150 athletes, and provided two climate-controlled charter buses to take athletes to the start line on race morning. Suzuka Hetterich and Mandi Florip represented Chicago Athlete in Boston, as both ambassadors embarked on their first experience at the world-class event. Chicago Athlete Ambassador Suzuka Hetterich poses at the Boston Marathon finish line Monday. 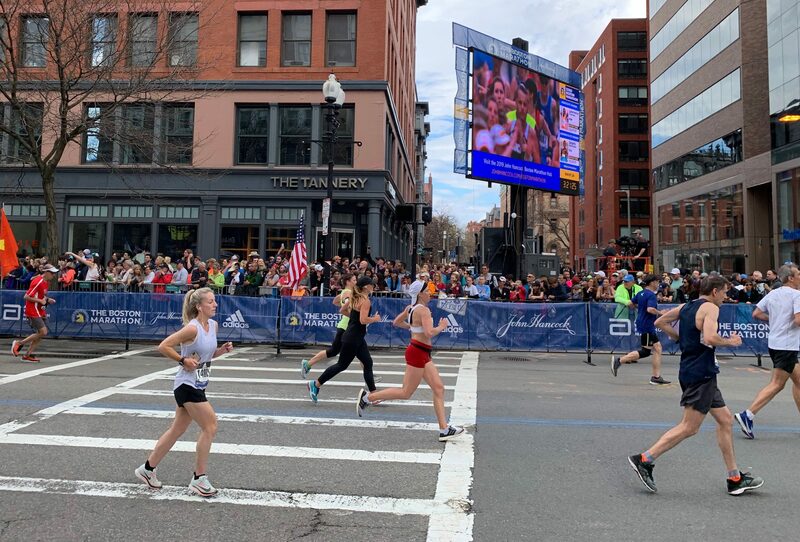 “It was tough to qualify to make it to the start line in Boston, and the conditions made it tougher to make it to the finish line,” Hetterich said. “But Boston spectators are truly first class!” It was her tenth marathon overall. 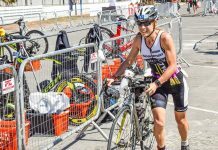 Read about Florip’s qualification story and training journey leading up to Boston, and look out for her post-race experience coming online soon.